This TuesdayÂs July 10, 2012 MikeÂs Gringo Life Radio Show features the Beltraide organization, BelizeÂs premier investment promotion agency. This group has the power to grant tax and duty concessions to foreign investors and will assist in cutting through red tape and bureaucracy. Already they have been successful in recruiting call centers, light manufacturing, and specialty agricultural production to the country. They are now working on medical tourism as well. ECI Development and Grand Baymen condominiums on Ambergris Caye work closely with Beltraide to get the good word out about the country as a retirement and vacation destination. Several factors are at play, but the most convincing for North American expats is that English is the official language. Other factors are the strong rule of law, which is English Common Law by the way, investment and personal safety, and the incredible warmth and friendliness of the Belizean people. All of these characteristics plus a phenomenal retirement program, the QRP, show why Belize continues to climb rapidly as a retirement destination. Belize is also known as an effective, private offshore investment and financial services haven. In our 4th segment of the radio show, Wayne Kurtz from Karlsburg Insurance will be talking about why Belize is a prime location for an Offshore Variable Universal Life (VUL) policy. Perhaps the main reason is that when arranged offshore, the VUL acts a lot like an unlimited IRA allowing qualified individuals to make unlimited investments into a policy and gain the tax benefits similar to that in an IRA. One big benefit is that the Offshore VUL has much more flexibility than a traditional VUL policy in the US or Canada. Wayne tells us some of the details and why more and more folks are coming to Belize for this incredible opportunity. 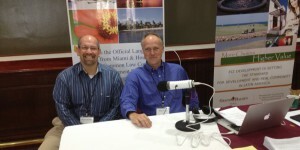 To tune in for MikeÂs Gringo Life, TuesdayÂs 6-8pm onÂ the Overseas radio Network.